woollen, worsted yarn in which the fibres are straightened so as to be in parallel, thus giving it its smooth surface. Produced from sheep's wool, chemical, wool-type fibres and admixtures of these. 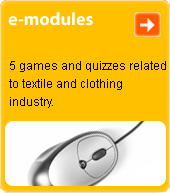 Used in the production of woollen fabrics and knitwear.